The decay of all institutions in Nigeria is so holistic and encompassing that nothing is left from the judiciary down to the very viral media. It is the most travesty on nationhood for such a degree of decay to encompass all the strata of a nation. 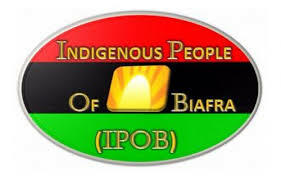 The deceitful, misleading and uncorroborated spread of lies by the print media in Nigeria against the very successful and well compiled to and evidently documented observance of the sit at home order, by the freedom government of the indigenous people of Biafra, is an evidence of rascality, stupidity, compromise on the tenets, principles, rules of engagement and overall show of indiscipline, against the very highly esteemed legal action. The evident ubiquitousness of the on the ground volunteer media team personnel of the Great Family of the Indigenous people of Biafra, who were able to do live coverages of the emptiness of all the streets in Biafraland, in obvious solidarity with the SIT AT HOME ORDER by IPOB, with various accompanying streams of Video evidences and on the go pictures are such an embarrassment to the ever lying and gagged personnel of the brown envelope and PAY-AS-YOU-GO disgraces, parading about as media practitioners in Nigeria, the expired British experiment. All parts of Biafraland, including Abakaliki main town and Nkalagu, Cas, presco, around Ebony state university and suburbs of Ebony province showed clearly, that Biafrans in Ebony provinces complied With SIT AT HOME ORDER issued by Indigenous people of Biafra. All the lying and paid news platforms in Nigeria can now close their faces in shame, as all available pieces of evidence with us, concerning these locations and all other places within Biafraland, are properly documented and waiting for the layers to write with video pieces of evidence, then stay behind their Laptops and feed the public with embarrassing lies. The hovering over the Airspace of Biafraland, with shamefully outdated chopper, with the aim to intimidate Biafrans who are simply sitting at home as mark of respect to their fallen Heroes and Heroines, at various times of the anti-Biafran massacres in Nigeria, is a clear evidence of how demented, silly, ridiculous and primitive, the handlers of the Nigerian failed federal and state governments can be in this 21st century, when Nations are spending their energy and resources on progressive policies. My candid advice, however, to the zoo called Nigeria, is to accept the fact that the people of Biafra have taken their fate into their hands, as evidence abounds of the readiness and eagerness of all the people of the old Eastern Region, to welcome their darling Nation, Biafra. Biafra as a sovereign Nation has been scribbled in the hearts of all Biafrans, and nothing whatsoever can replace that holy yearning. Ebonyi province, contrary to lies of the corrupt, brown envelope media formations in Nigeria, remains Biafra land. The lies of the Nigerian government cannot alter this singular fact. Nigerian paid brown envelope media agents can try however hard they wish to paint a bad picture of the outcome of the response from Ebonyi. We have a deal to always counter a singular lie from the Nigerian paid to lie agents with Two hundred (200) truth, for the world to understand that Nigeria has expired and that the BIAFRAN referendum, remains the expectations from all Biafrans. God bless Nnamdi KANU, God bless our heroes and heroines, God bless all Biafrans. REMEMBER THAT BIAFRA IS SURE AND OUR FREEDOM IS SURE.